Writers and publishers depend on one another, but it often seems as if they speak two different languages. 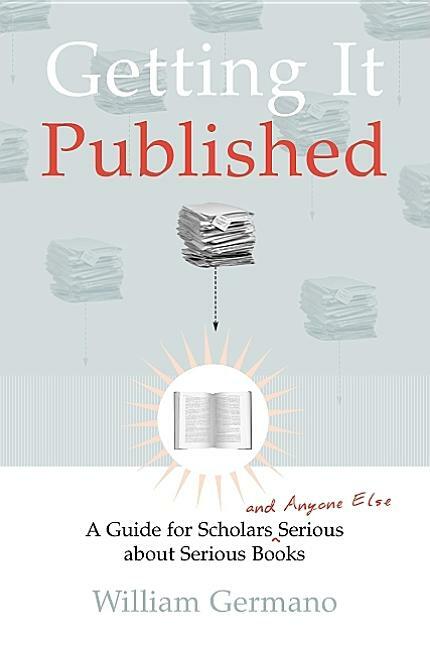 "Getting It Published" is a lively, insider's guide to academic publishing a book that will tell you not only how publishing works, but how you can make it work for you. Written by a veteran editor with experience in both the university press and commercial worlds, the book fields the big questions in a scholar's life. Why do editors choose some books and decline others? How does a writer decide where to submit a project? How does the review process work, and why is it necessary? What can an author expect from a publishing house before, during, and after publication? William Germano answers these questions and more, and along the way, offers encouragement, tips, and warnings. This savvy guide unravels the mysteries of publishing and walks you through the process from start to finish. You'll learn how to think about your book before you submit it and what you need to know about your contract. With wit and humor, Germano also addresses some of the finer points of publishing etiquette, including how and how not to approach a busy editor and how to work with other publishing professionals on matters of design, marketing, and publicity. Graduate students, recent Ph.D.'s, and experienced authors alike will appreciate the chapters on "Quotations, Pictures, and Other Headaches" and on compiling and editing collections and anthologies. "Scholarly publishing is a big, noisy, conversation about the ideas that shape our world," Germano writes, "Here's how to make your book part of that conversation.""